The first Manama Souq Development Committee meeting was held yesterday (July 1, 2018) and it was headed by the Chief Executive Officer of the Bahrain Tourism and Exhibitions Authority (BTEA), H.E. Shaikh Khaled bin Humood Al Khalifa. The meeting was held following the Ministerial decree issued by the Minister of Industry, Commerce and Tourism, H.E. Mr. Zayed bin Rashid Al Zayani. During the meeting, the members discussed the latest developments of the project and other related topics as well as reviewing a study carried out by the committee and BTEA in close cooperation with the expert, Mr. Hank Dittmar. The meeting also discussed the details of the project execution that entails appointing a specialized department to supervise the souq, its amenities, and main services such as parking lots, health care, and pedestrian walkways that leads to the Wednesday market, cafes and other requirements. The committee is charged with several tasks including proposing policies and plans to develop the Manama Souq touristic site as well as setting standards and criteria’s related to the usage of the area. The committee also is responsible of working alongside concerned authorities with an aim to develop the area, propose plans and solutions to ensure the sustainable development of the souq and increase the effectiveness of coordination between different ministries, authorities as well as the public and private organizations in this regards. “The government made the decision to develop the Manama Souq seeing the significance of this historic market. It is a well-known touristic site and an attractive destination for many shoppers who are looking to acquire original and unique products. In this regards, it is important to host these meetings in order to track the most important milestones of this national project that will elevate the aspirations of the residents in the Kingdom of Bahrain as it has an important central touristic and commercial position,” said the CEO of BTEA, H.E. Shaikh Khaled bin Humood Al Khalifa. 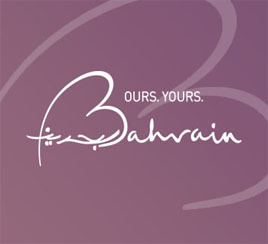 The committee comprises of representatives from the Ministry of Works, Municipalities Affairs and Urban Planning, Bahrain Authority for Culture and Antiquities, Urban Planning and Development Authority, Economic Development Board, Capital Municipality, Capital Secretariat Council as well as a number of Manama Souq traders.